Yacht Design by Vripack presents a rare insight into one of world’s most sought after yacht design studios. 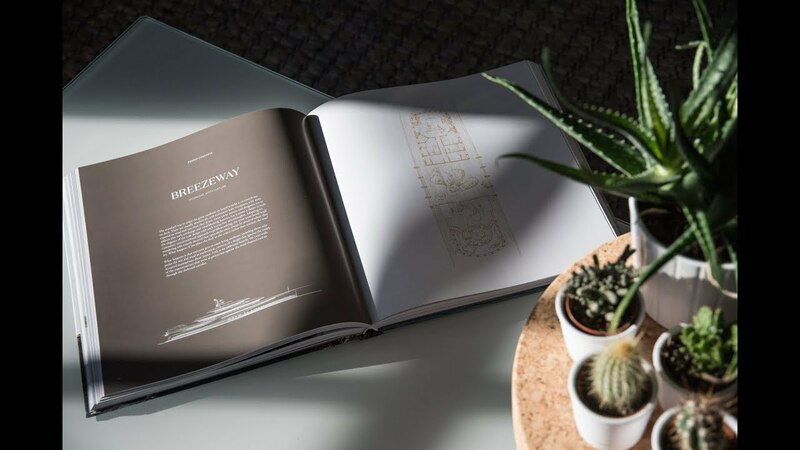 The book showcases Vripack’s ability to combine accomplished exterior styling and elegant interior design with ingenious naval architecture and engineering, to ensure our clients feel at home, at sea. The book showcases a mix of our studio’s most sensational yachts uniquely pictured in their natural habitat. Simply flipping through the stunning photography or reading it in great detail, you will certainly notice our design philosophy that is informed by a creative, holistic and collaborative approach that enables us to conceive yachts that offer their owners the most enriching experience possible on water, while allowing them to immerse themselves in this experience with the peace of mind that comes from knowing you enjoy unparalleled levels of safety and comfort. Books ordered via this form are personally signed by Vripack's Creative Directors Bart Bouwhuis and Marnix Hoekstra - limited edition! Important note: each book has a selling price of € 50,- incl. VAT / excl. shipping costs. When you have submitted your purchase you will receive a payment request incl. shipping costs and VAT. After payment we will send your package to the postal address you have provided.